Living a Fit and Full Life: Top Ten All-Natural DIY Green Cleaning Recipes from Limoneira! Top Ten All-Natural DIY Green Cleaning Recipes from Limoneira! Lemons are awesome for cleaning and with more and more families tossing out there chemical laced cleaners this is the perfect list of all natural DIY recipes! Print it out and keep it in your cleaning buckets because every one of these recipes are absolutely amazing at getting those household chores done. I also love the added lemon scent! Mix the juice from 1 lemon with 2 cups of warm water, a half cup of white vinegar and 5-10 drops of lemon essential oils. Transfer the mixture into a spray bottle, shake and spray to wipe clean surfaces. Use one cup of lemon juice instead of bleach. It still breaks down stains, whitens fabrics and it leaves a fresh lemon scent. Sprinkle a half cup of Borax in the toilet bowl, add a cup of lemon juice and ½ cup of vinegar. Let it sit for 10 minutes then scrub as usual. Adding a tablespoon of lemon juice to a regular wash can help boost grease cutting power. In a saucepan, simmer a quart of water with 1 sliced lemon, 2 tablespoons of rosemary and a dash of vanilla. Mix half a cup of lemon juice with a cup of olive oil into a spray bottle. Mist onto furniture surface and wipe clean. Pour 2 cups of white vinegar and a half cup of lemon juice into a bottle. Add a quarter cup of dish soap and shake. Soak the stains in this mixture for 30 minutes then scrub away! Combine a cup of water with the juice of half a lemon along with the lemon in a large, microwave safe bowl. Microwave on high for 3 minutes and remove the bowl. Use the mixture to wipe down the inside of the microwave until clean. Cut a lemon in half and dip it in salt. Use the lemon to scrub the barbeque grill to remove stains. The acid in lemons helps remove rust stains. Sprinkle salt on the rust stain and rub with half a lemon. Allow it to sit for an hour, scrubbing periodically, and rinse. 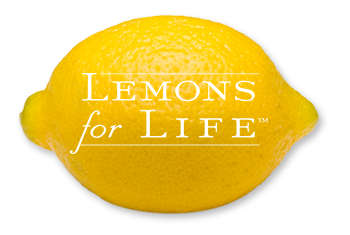 Click HERE to visit the Limoneira Lifestyle Store! Click HERE to learn more about Limoneira! Follow Limoneira on social media!